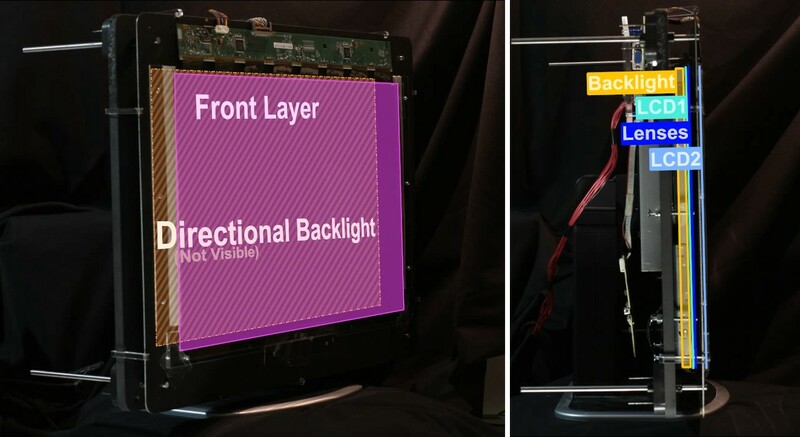 Compressive light field displays employing a stack of time-multiplexed, light-attenuating layers with uniform or directional backlighting. They exhibit increased brightness and refresh rate. G. Wetzstein, D. Lanman, M. Hirsch, R. Raskar. 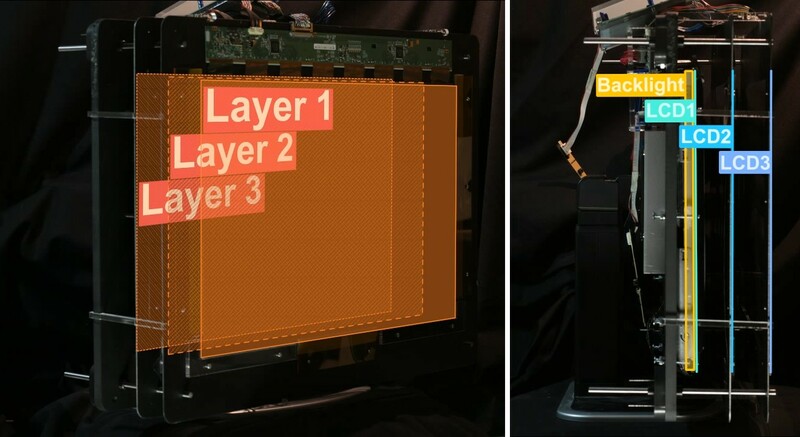 Tensor Displays: Compressive Light Field Synthesis using Multilayer Displays with Directional Backlighting. Proc. 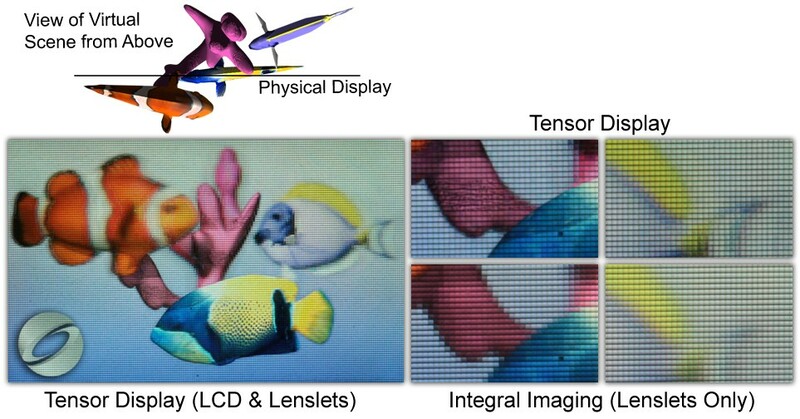 of SIGGRAPH 2012 (ACM Transactions on Graphics 31, 4), 2012.